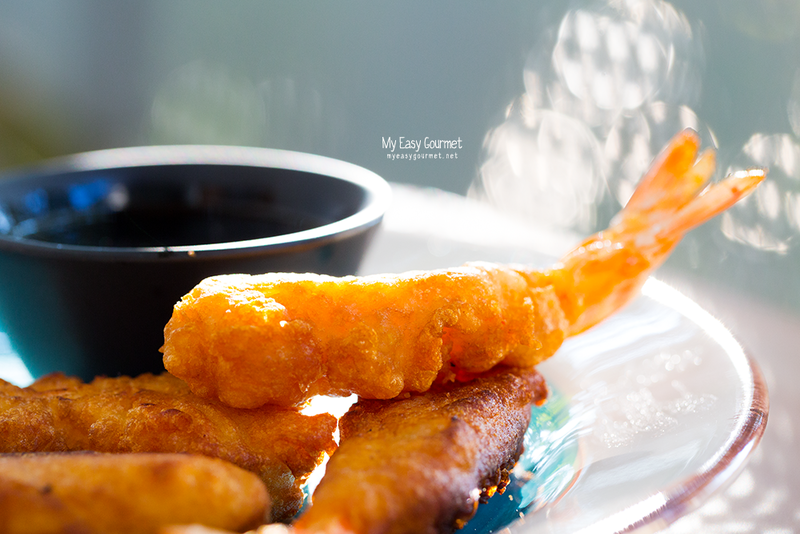 Shrimps Tempura. A Japanese staple dish we all love. 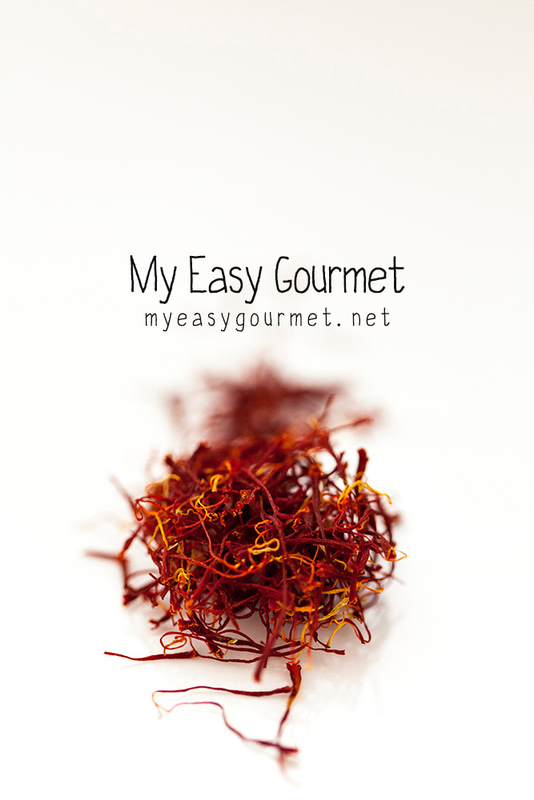 All you need is just 4 ingredients – plus the shrimps of course! You can use either cake flour or all purpose flour and add some baking powder and baking soda to it. It’s important for the water to be very very cold, as this is what gives this crunchy texture to the shrimps, so try adding some ice cubes 5-10 minutes before using it. 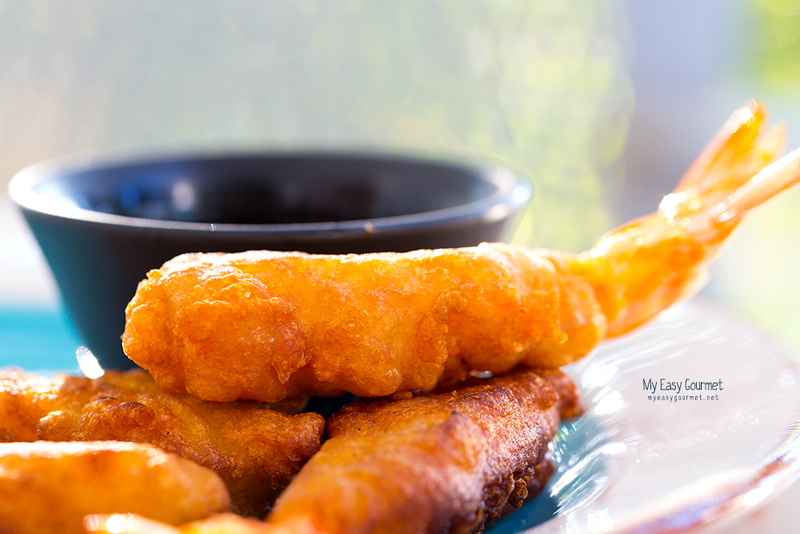 You must have noticed that shrimps tempura are straight and not curved, right? Not as hard as it seems, just be gentle with the shrimps while pressing them down on both sides with your fingers – using both hands, as it’s pretty easy to break them – and we wouldn’t want that, would we? And of course, don’t forget to devein your shrimps and keep the tail, because it looks good and works as a handle! 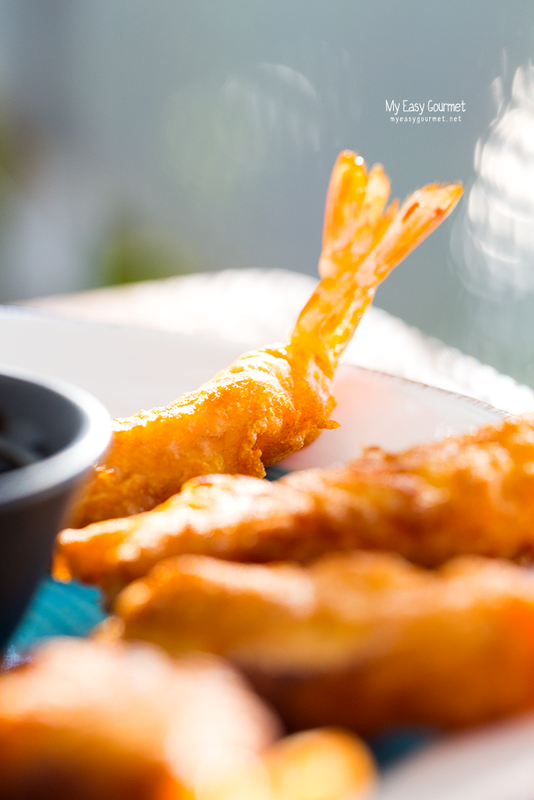 Now find the right sauce and dip them – double dipping is a must. Mix together the flour, cornstarch, water and egg.Stir with a wooden spoon – you want your mixture to be lumpy. Heat up the oil to a medium – high temp. 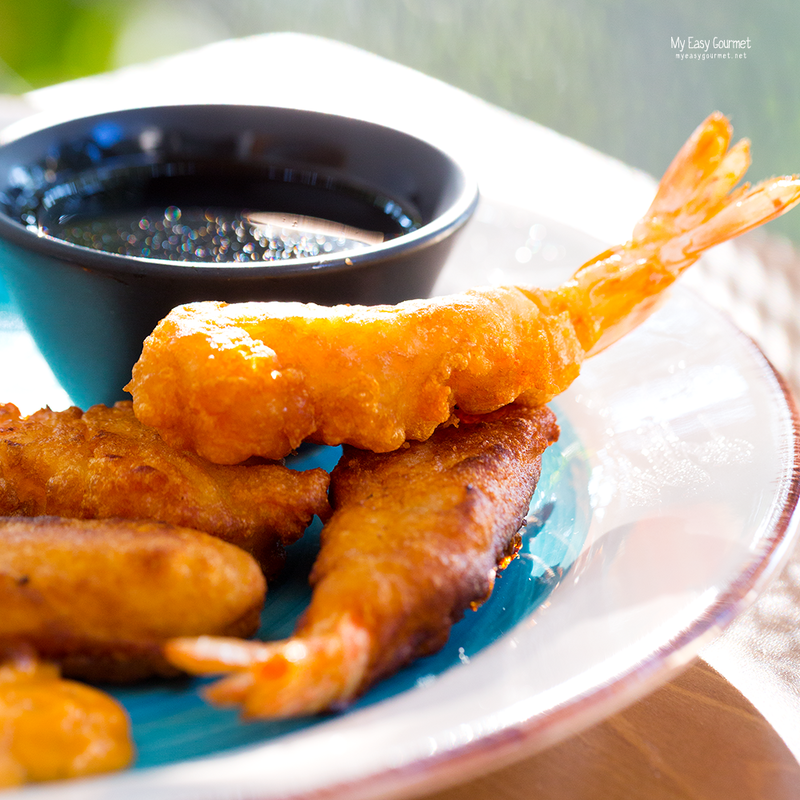 Dip the shrimps into the batter and fry for a few minutes 2-3, until golden brown.